Cape Town - The Stormers will break new ground when they face the Bulls in a pre-season encounter in Los Angeles on February 3, 2018. The pre-season match will see Super Rugby make its United States debut, as the two South African teams take their rivalry to a new continent. Western Province Rugby Group CEO, Paul Zacks commented: "This is a great opportunity to share the success of the Stormers team and brand with a new and growing market. The world is continuously becoming a smaller place, so exploring new and growing areas of the game forms part of our vision, as we strive to become a truly high-performance organisation with global appeal." President of the Western Province Rugby Football Union, Thelo Wakefield, said that he is looking forward to showcasing the brand and team and winning the hearts of rugby supporters in the USA, whilst helping grow the game. 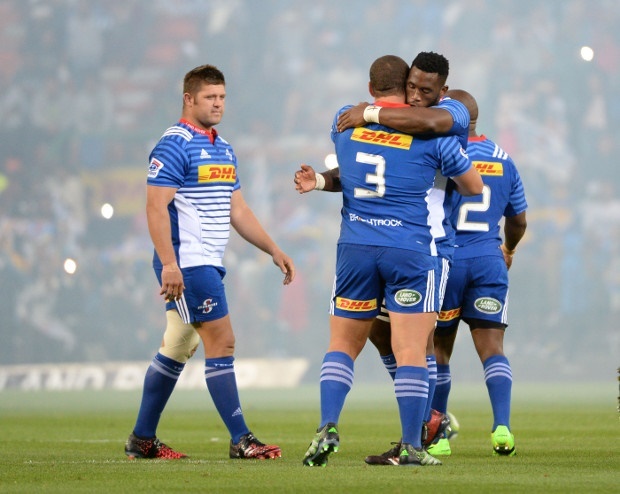 "The Stormers are one of the best supported franchises in Rugby Union and we are very excited to be able to showcase our brand, team, athletes and style of play, to the growing number of faithful in the United States," he said. Stub Hub Centre in Los Angeles will host the two fixtures as part of USA Rugby's long-term strategy in the region, leading to the Summer Olympics in 2028. Southern California has in fact been the fastest growing High School and Youth region over the last decade for USA Rugby. The event is collaboration between USA Rugby commercial arm, Rugby International Marketing, and AEG Rugby. "We're anticipating a strong year in 2018, with the ARC opening here in the US," said USA Rugby CEO, Dan Payne, "Southern California has always been a great rugby community, partnering with AEG Rugby and Super Rugby certainly amplifies that experience for fans." USA Eagles head coach Gary Gold said that anticipation in Los Angeles is building for what should be a special occasion. "Opening the season against a runner up should deliver some added excitement in Los Angeles," remarked Gold, "There is a suitable amount of anticipation we have for the men here, starting off the series with a well contested match-up." "Super Rugby is one of the premier club rugby competitions in the world, spanning 15 time zones and five countries." said Super Rugby CEO Andy Marinos, "Even though this is a pre-season match, we are excited that rugby fans in the United States will get the opportunity to enjoy and witness Super Rugby first hand."